Second hand and used Gazebo's for sale in your area. All of the top items on the best UK second hand classified and auction sites in one place. New still in original box Â£80. Gazebo 3m x 3m. Condition is Used. White powder coated steel frame. Assembly instructions included. Toys shown NOT included! Buyer to COLLECT. Gazebo party tent. Green and white PE fabric (110gsm) with white powder coated steel frame. Complete with tie ropes. Size: (approx) 2.4m x 2.4m. Pop Up Gazebo 3 x 3 m. Condition is used Does have a slightly bent cross arm but all still works just need a little help going up. Still very usable when up. 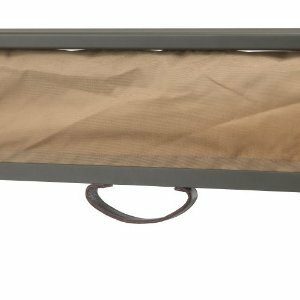 (Mocha in Colour) This blind is suitable for use only with Camelot's Regal Roller Blind Gazebo as shown in picture three The roller blind includes a durable leather pull handle and a new hook system..
Gazebo in black with white leaf effect , used but in excellent condition condition apart from 2 small holes in netting that can be easily be mended using white cotton and needle. Photos show how big..
Set of 4 NEW cream coloured Gazebo side panels. 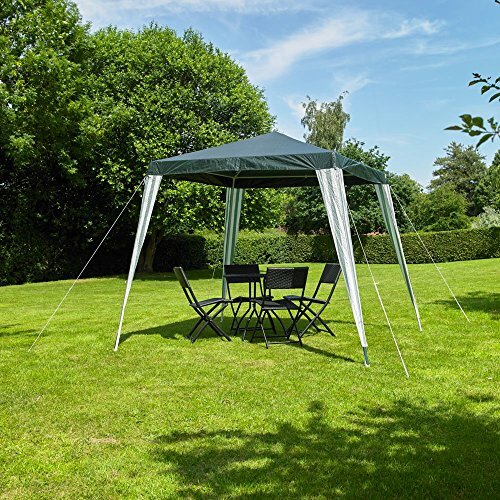 They can be zipped together to completely enclose your Gazebo or unzipped and tied back with tie backs (included). All panels have velcro on top to tie. 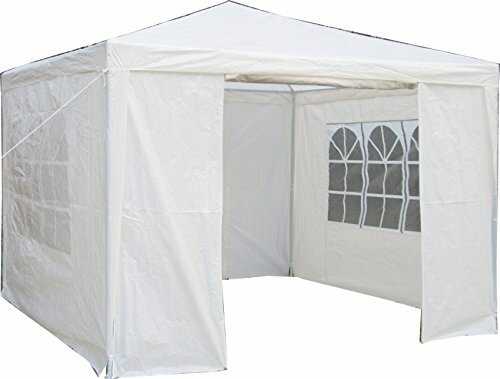 Quictent 6 x 3m pop-up Gazebo with Carry bag & extra side panels. Condition is Used. Collection in person only. Heavy duty metal garden gazebo. In great Condition. Collection in person only. Good Condition nice clean gazebo.Metal action frame with all guy ropes and pegs.Comes in a strong canvas bag with full length zip (good working order).Collection only due to length and weight.